Are you ready for the biggest science story of the year? 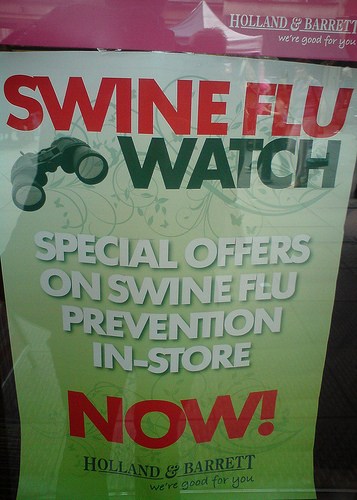 Science Writers in New York (SWINY) invites you to join us for the very latest information on the 2009 swine influenza (H1N1) outbreak and how the media has responded to it. The event is free and light refreshments will be served. Dr. Bucher will discuss the new recombinant virus, epidemiology, treatment, vaccine development and the public health implications of a worldwide pandemic. Her laboratory in Valhalla, N.Y., is one of just three worldwide that reproduces “seed” viruses for the influenza vaccine, which begins the process of producing some 450 million doses of a new vaccine each year. Christine spent over 20 years at TIME magazine and wrote hundreds of bylined articles on health and medical topics, including 21 covers. She is the author of the Health Media Watch, a blog aimed at helping the public to be better consumers of health information. Jacob covers health and the business of health for the Journal and was the first blogger to be hired by the Journal. The Health Blog offers news and analysis on health and the business of health. If you wish to attend, RSVP here.